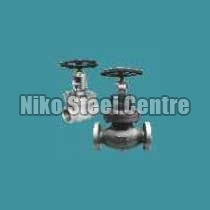 We have made a mark as Supplier, Exporter and Stockist of Globe Valves, based in Maharashtra, India. Sourced from the trustworthy vendors, our Globe Valves stand always high on expectations. The company has all the necessary arrangements for quick and safe shipments. We let the buyers to lay their hands on our cost effective collection of Globe Valves.